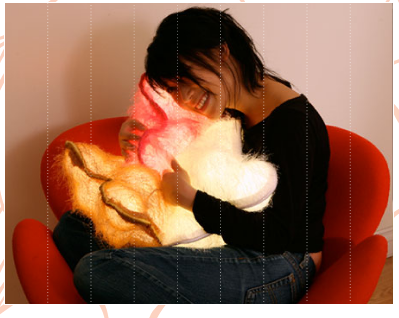 The reiHuggables may be the nicest light-up pillows we've ever seen on the Giz...which admittedly might not be saying much. Using a hidden switch, the reiHuggables will glow for up to 4 hours at a time, after which time their 4 AA batteries (that you supply) can be recharged. The secret to their magical glow are the .5W LEDs, which will stay cool during operation (to your cat's dismay). For now the reiHuggables are still priceless, but we can't help but to crave their polyester goodness. Damn I love LEDs. They could stick an LED in a 1998 Dell desktop and I'd post it.